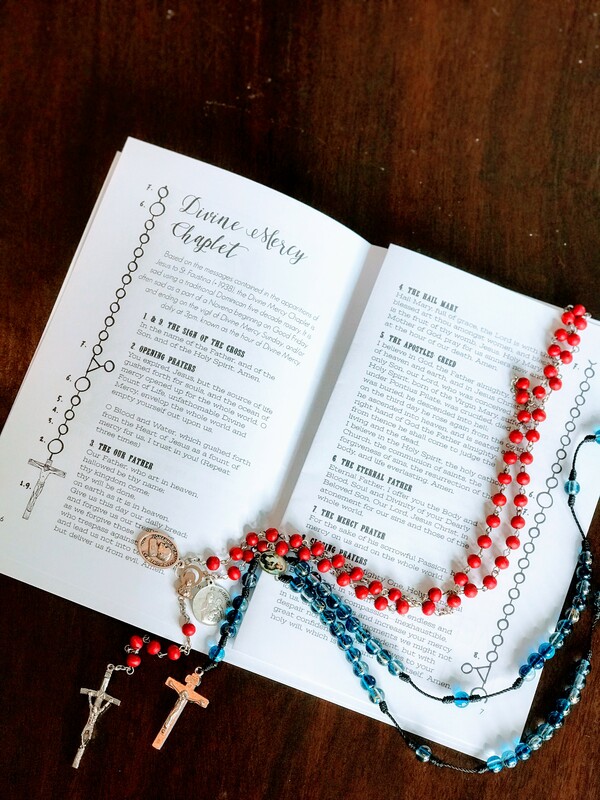 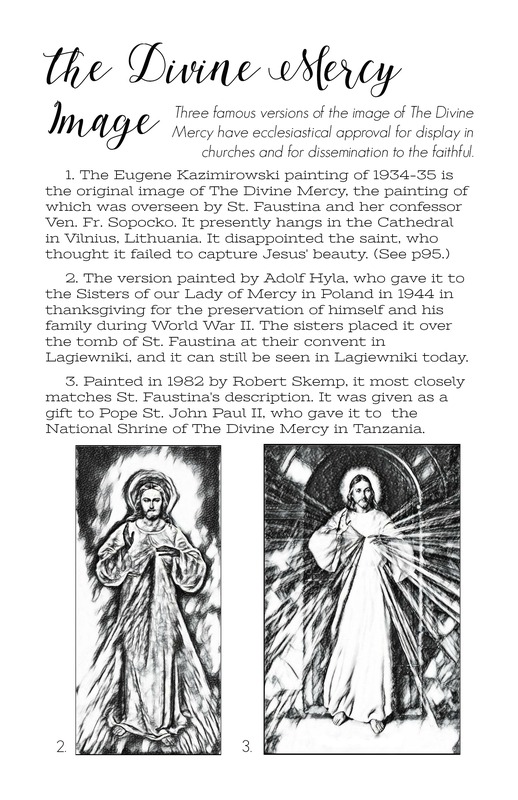 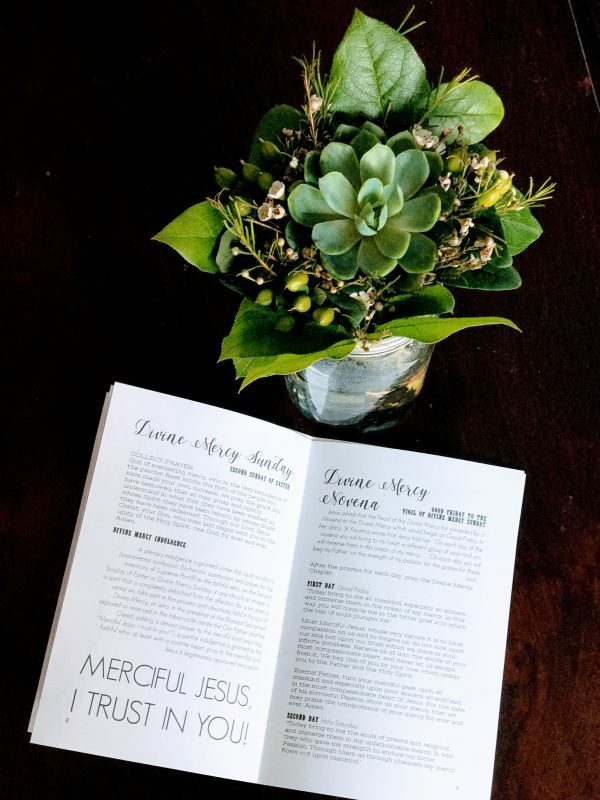 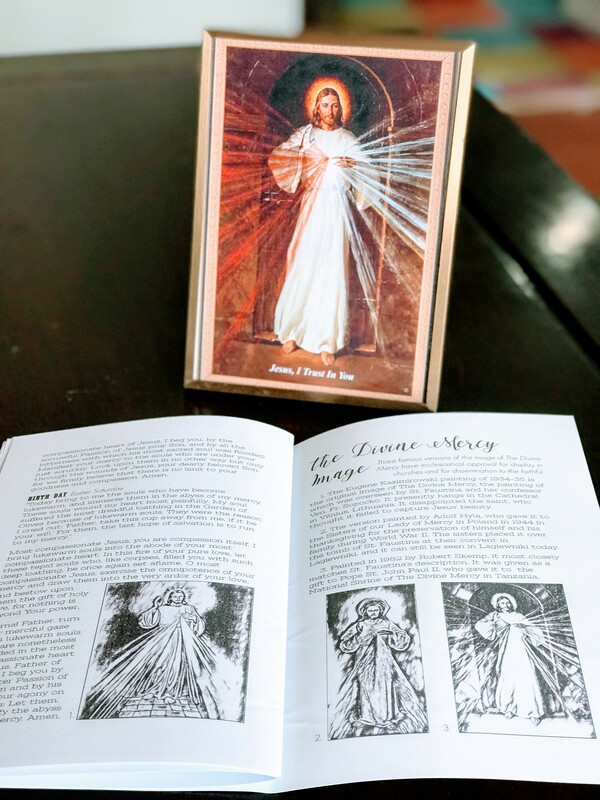 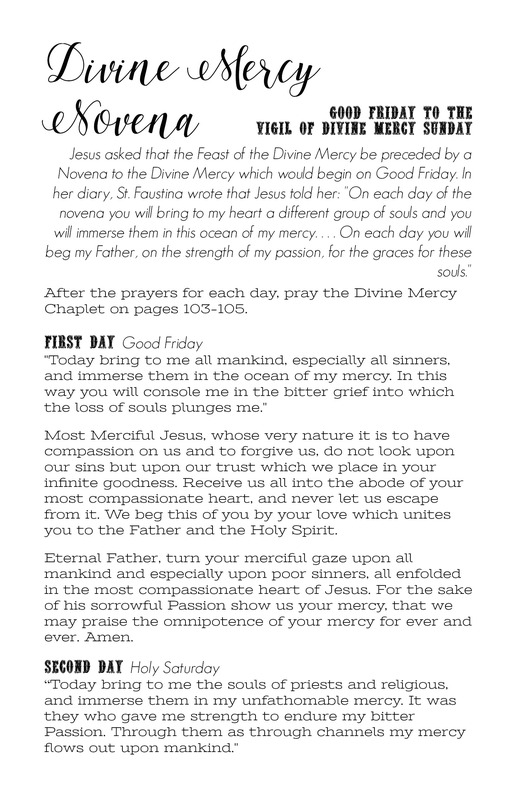 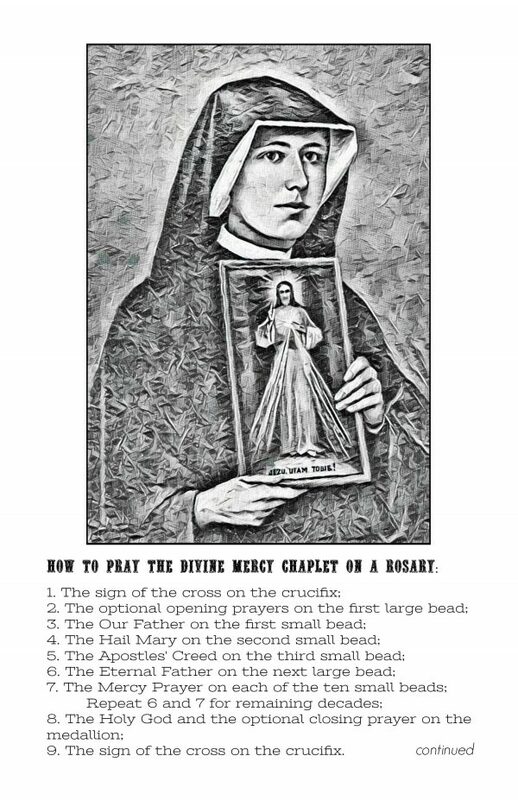 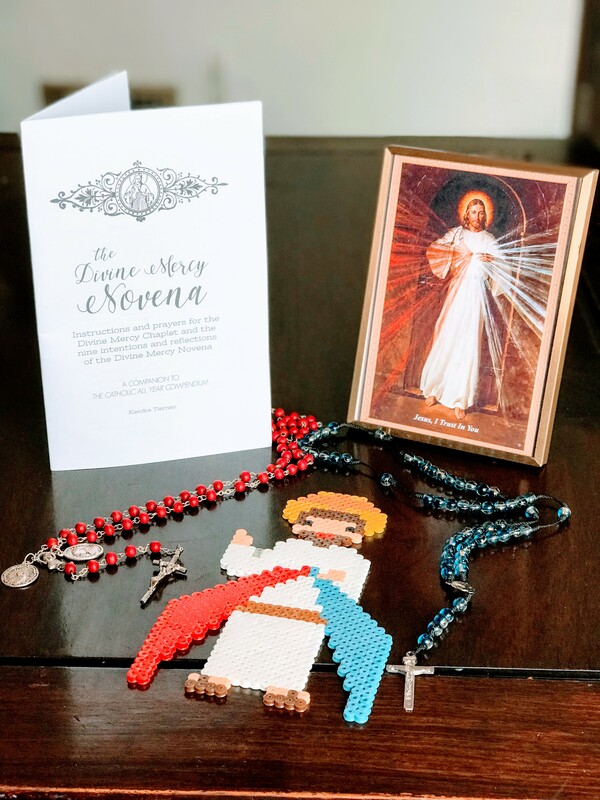 This booklet includes a brief description of the history of the Divine Mercy devotion, and the associated images and indulgences, an explanation of how to pray the Divine Mercy Chaplet on an ordinary Rosary, and the complete text of the nine day Divine Mercy Novena, which begins on Good Friday and ends on Easter Saturday (the day before Divine Mercy Sunday). 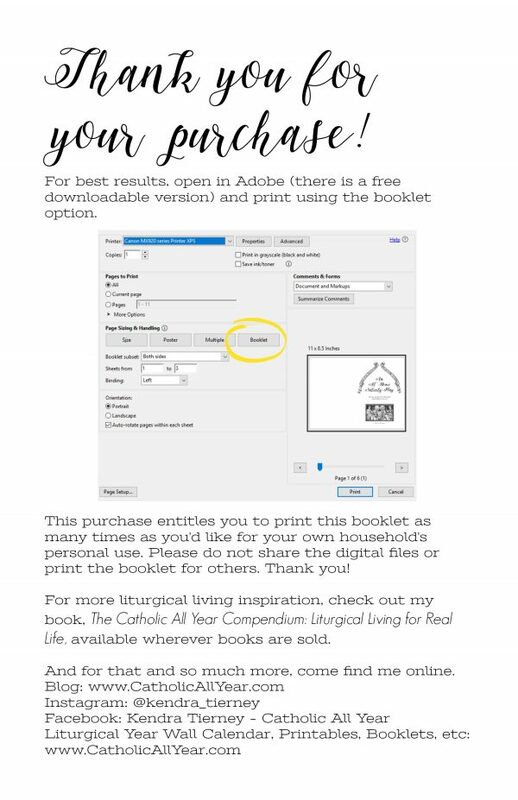 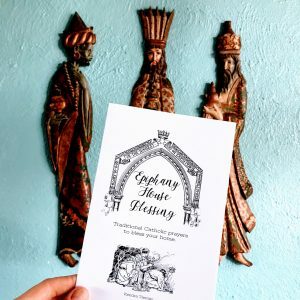 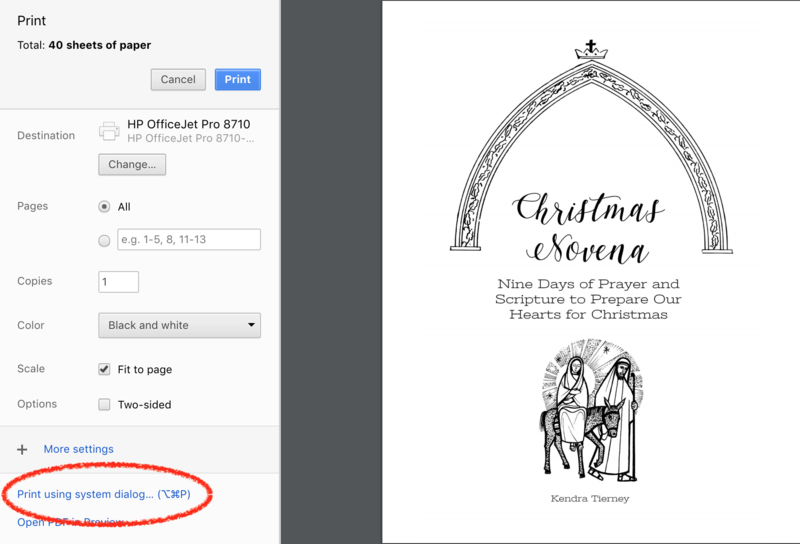 You get a 16 page pdf file, that can be printed as individual pages, but I recommend opening the pdf in Adobe (there is a free version available for download here) and printing it as a booklet (which uses four pieces of paper). 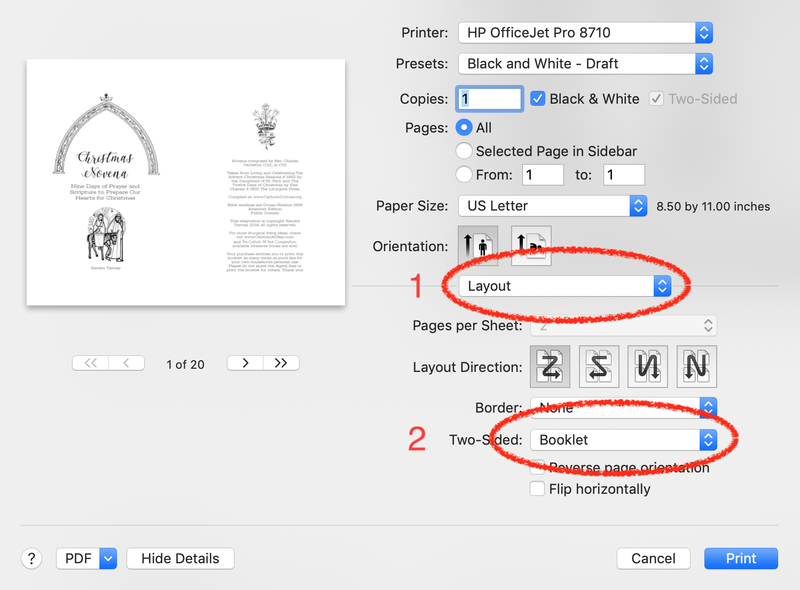 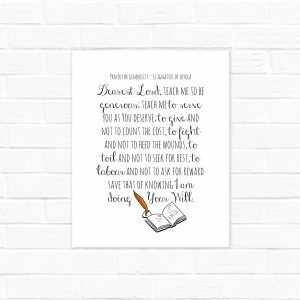 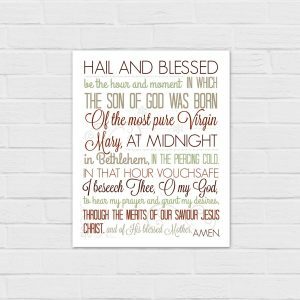 For best results print on high quality paper (like 24 weight). Lighter weight paper will work, but there will be more show through from the back.